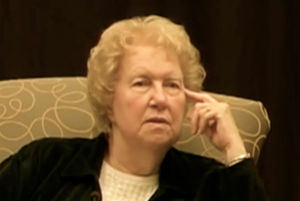 In 2002, when my mother Dolores Cannon began teaching her Quantum Healing Hypnosis Technique℠ to people all over the world who wanted to learn how to heal and help others with past life regression, we had no idea how many people she would touch. 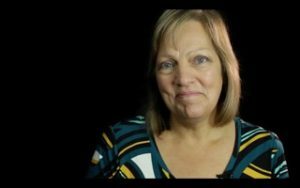 Dolores began her amazing journey into hypnosis, metaphysics and past life regression in the 1960s to share the information she discovered through her sessions not only to help others, but also to satisfy her own curiosity. Thanks to Dolores’s unceasing quest to seek out truth and reveal lost knowledge, we have 19 of her fascinating books to enjoy and ponder with more on the way that were left uncompleted after her transition in 2014. QHHT®, Dolores’s unique technique of hypnosis for healing and past life regression, is offered online to more people than ever with her QHHT® Level 1 Online Course available to learn in English, Spanish, Russian and Chinese. The new QHHT® Level 1 Companion Program is for QHHT® Practitioners who have completed the online course and any practitioner who would like practice sessions, to ask questions and connect with other practitioners. QHHT® Level 1 Companion Classes will take place July 21-23 in Maple Ridge, British Columbia and September 7-9 in Vancouver, British Columbia, Canada. Dolores Canon’s QHHT® Level 2 Course is a four-day class that focuses on reviewing several crucial aspects of the QHHT® Practitioner’s practice and strengthening core QHHT® skills that will increase their confidence in dealing with some of the more unique sessions they might encounter. The next QHHT® Level 2 Course this year is scheduled from September 7-10 in Vancouver, British Columbia. The most advanced QHHT® Class offered is the QHHT® Level 3 Course for practitioners who have completed Level 2 (since January 2014), have a minimum of 125 sessions, have been practicing at least a year and intend to facilitate QHHT® sessions just as Dolores taught. This small 3-day class offers intense, professional assessment and feedback. The next QHHT® Level 3 Course will take place September 12-14 in Vancouver, British Columbia. During my recent presentation at the 12th Annual Ozark Mountain Transformation Conference, which I’ll write about soon, I talked about Dolores’s dream of Cannon University now taking shape as a virtual university online with Quantum Healing Hypnosis Academy’s QHHT® Courses that will later expand to offer multiple metaphysical and wellness courses and disciplines in the coming years. 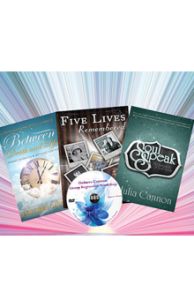 Stay tuned for news about Dolores’s new books, QHHT® and Cannon University! This is interesting. I’m happy to hear that it’s available and healing can continue. I only heard of Dolores two weeks ago and I have since listened to many of her videos. I have studied metaphysics with some of the world’s greatest mystics with tremendous abilities and powers but I have never come across anyone who can describe, in such intelligent and accurate ways for a Western mindset, the ins and outs of metaphysical sciences. And she goes to extremely advanced levels which are only revealed to acylotes after many decades of personal preparation. If Dolores had been born in countries like India, Thailand, etc., she would have been worshipped as a great Saint and as a Divine being. This woman was a divine gift to the world – a divine achievement of her own. The tools she gives to people to learn about their true self is the absolute greatest gift anyone can give to another person. I feel extremely grateful to have learned about her and to have been given the Grace to come across her. I am only sad to never had the opportunity to meet her in real life. I have listened to a few clips on YouTube. And wanting to join the Cannon healing family. Please email me on steps to become a practitioner of QHHT. Thanks. Iam so happy you are her daughter and your sharing what your mother believed in. I have just recently discovered Doloris’s awesome works ,sad to find out of her passing but oh my what she must be up to now .Being new to her works is there any answer to the origins of the rh- blood lines an why such a difference from others ? Glad to communicate with you. I’m Sushmakamal from India. I recently have been reading books of Dolores cannon. I’m interested in learning about the Quantum healing hypnotic therapy. I can only do it online. Please guide me. hi Julia, I was listening to you on you tube today about ‘soul speaks’ and have been listening to your Mom for months. I am fascinated. I look forward to singing up for the course very soon. I am making space (time) in my life for this… a challenge with 3 little kids… but this is the first thing that I have taken great interest in. I just wanted to say how happy I am to have found this path. Hello Julia, I have just discovered your mother on you tube by chance and absolutely fell in love with her, she is touching me and pushing me to unbelievable heights. I did not know Dolores isn’t alive anymore, I have literally listened to one of her lectures first before yesterday. She had answered so many of my metaphysical questions! I was hoping to meet her in person, it makes me so sad to know now that won’t happen, but, as she said always, I am happy to know she has completed her mission and transitioned to the other realm, I;m pretty sure she is in the library of the wisdom realm now, reading and reading again! Just wanted to say what a wonderful woman she was, how much she has done for humanity, she certainly changed me for good, and I’ll be sure to make something quite powerful out of the knowledge she will keep giving me from now on.